Help keep hope alive! 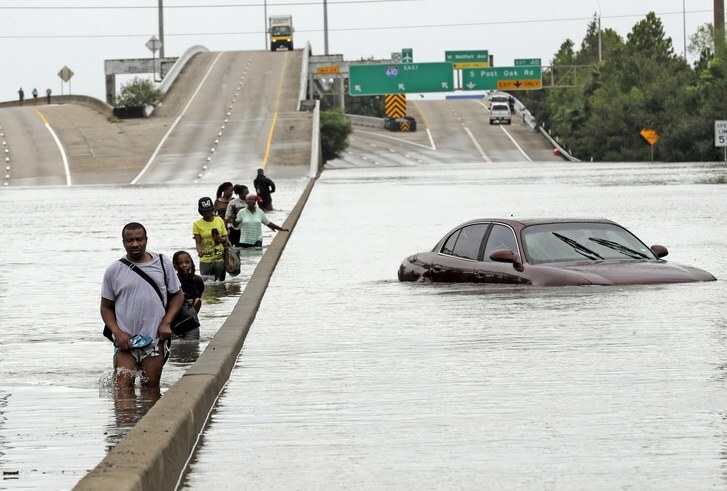 PLEASE help us raise $55,000 in 55 days or less to help Kathy Singleton, who lost EVERYTHING to Hurricane Harvey in Houston, Texas as well as Val Smith, Nana, Liz Rachelle and others. Kathy was rescued by boat as her home and car were destroyed by the flood! My heart is aching for my friend who was still grieving the sudden death of her spouse and now has to endure this loss alone as a widower. 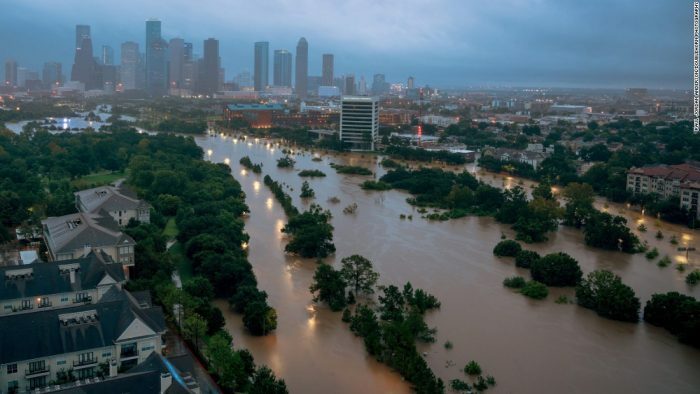 I felt helpless as I was locked inside my residence in Houston for five days while the Hurricane was destroying homes and lives around me. Now that the storm has passed, we want to offer our assistance by asking 2,750 people to donate $20 each to help us meet our goal. If you could ask your social media groups, family and friends to donate as well we will be forever grateful. WE love and miss Brenda phenomenally. Brenda Kay Smith was a Phenomenal Woman and volunteer with our organization. In honor of Brenda, who died unexpectedly, we feel compelled to keep her legacy of volunteerism and community service alive by starting a fund in her name. The Brenda Kay Smith Fund and the legacy she leaves behind gives us encouragement and allows us to continue our work to provide educational resources to strengthen character, build strong families and create an authentic bond of sisterhood. We believe that women truly make a difference and charity begins at home. Brenda was exemplary in her commitment to her family and community. She loved to volunteer and encourage others to to the same. Brenda’s true beauty was making others feel special by edifying them with powerful words of encouragement. She took the time to notice people that most of society would consider unimportant. She enjoyed talking a lot, but she made you feel valued because she loved to listen to others share their stories also. Her energy was electric and her presence made us strive for excellence. Brenda dedicated her life to being a phenomenal wife and mother to five children. She made it look effortless and fun, although if you are blessed to be a parent, you know that there are always unexpected challenges along the way and it’s not always easy or fun. Brenda was the epitome of a Phenomenal Woman and remained true to our mission to Unite*Inspire*Empower all women no matter what race, color or creed. She was authentic and remained true to herself and those around her. She was always energetic, enthusiastic and optimistic about life. Her decisions were always “others” focused and never selfish. She worked for the betterment of all people and she loved volunteering on all levels. In fact, Brenda and Tanya (The Founder of Phenomenal Women, Inc.), Met while volunteering in their children’s kindergarten class. While they were cutting out projects in the back of the classroom they began to chat, connect and form a bond of sisterhood that lasted for over 18 years. Brenda put the word “sister” in sisterhood. Brenda and Tanya also served together at their local church in the women’s ministry and participated in the Financial Freedom Ministry, to bring awareness to debt free living. It’s from that biblical foundation and inspiration that the Phenomenal Women’s organization shares its empowerment and continues to conduct Debt Free seminars and workshops around the globe. Brenda loved telling stories about her parents and the work and service they did in the country of Haiti. Her stories would make us laugh, cry and take action to do more to help others that were less fortunate. Brenda had a special gift of connecting and exchanging stories with complete strangers. Brenda felt a stranger was a friend we hadn’t met yet. Brenda was adventurous and loved a challenge. She lead our Phenomenal Women Hikes to the “Top of the World” and other destinations surrounding the Saddleback Mountains. We affectionately called Brenda our “Road Dog”, have car will travel was her motto! At a moments notice she was ready, willing and able to come together for an unplanned committee meeting, have a slumber party or to travel to parts unknown. She brought light to dark places. She was an ordinary woman that did extraordinary things to make a difference in her home and her community. 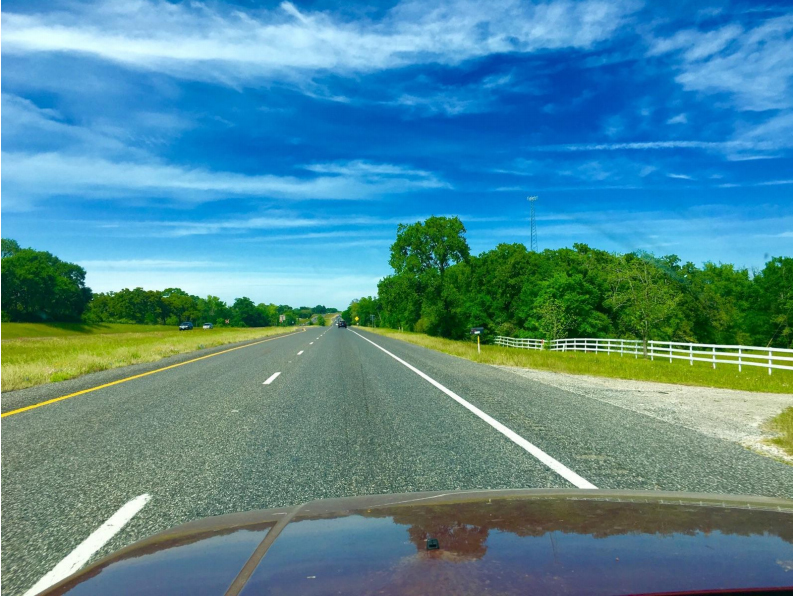 Brenda Kay Smith took this photo as she left a Phenomenal Women’s event in Houston and headed toward Dallas, Texas in her Jeep one gorgeous afternoon. She texted to say… “THE SKY AIN’T THE LIMIT”. Brenda was enamored with nature and she was always taking pictures to capture her thoughts and emotions. She was our ambiance at the Phenomenal Women headquarters in California and we will miss her dearly. July 8, 2016, was the last time Tanya saw Brenda alive and it was on her 53rd birthday. 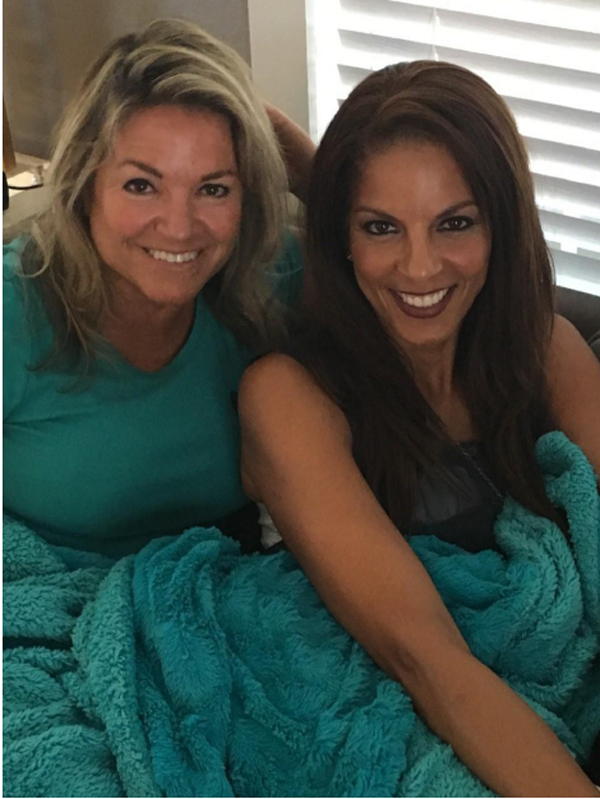 The photo below is of the two of them cuddling on Brenda’s sofa in Roanoke , Texas for some heart to heart girl chat, after a delicious lunch fit for a Phenomenal Birthday Queen (Brenda)! Their conversation was reflective of their past accomplishments, present and future selves and the plans that God had for them as women. It’s obvious that God’s plan was to take Brenda to her phenomenal home in heaven so that she will experience eternal peace and happiness. Brenda Kay Smith personifies what our Phenomenal Women’s organization is all about. She would bring people together (Unite) from all walks of life by sharing her passionate Christian beliefs, she (Inspired) and esteemed those in her presence to (Empower) do something for the betterment of all humanity. 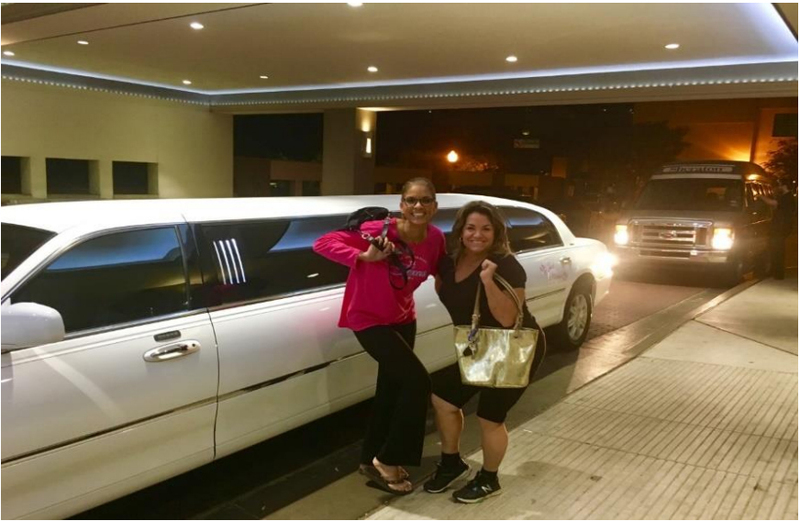 Girls just wanna have fun~ Tanya & Brenda being silly after a fun rendezvous in Dallas, Texas. My name is Debra Hubbard, and I am proud to say that my Black Don’t Crack! 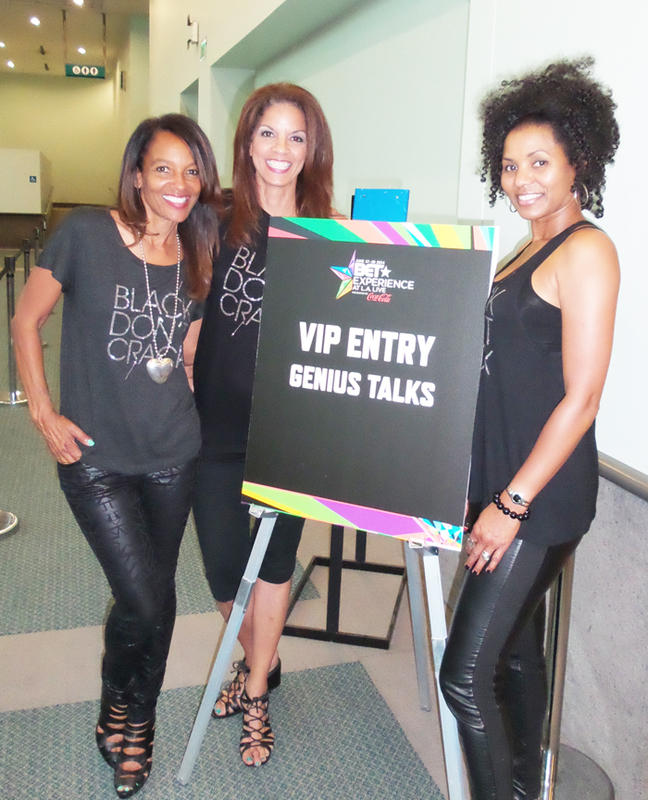 I am often asked what is the inspiration behind Black Don’t Crack. It originated from the trials I’ve experienced throughout my life. I’ve had to deal with emotionally charged issues, the destructive nature of depression, financial instability, divorce, and the loneliness of recovering from the uphill struggle which ensued. I have personally felt the punishing blows of physical and mental abuse which left me suffering from immobilizing pain, shame and mind shattering discomfort. Yet, I survived and refused to crack because of my circumstances. Conquering this pain in my life shaped me and made me aware of what it means to overcome insurmountable odds. From this struggle I developed ‘Black Don’t Crack’ by broadening its original meaning of embodying forever youthful skin to establishing Black Don’t Crack as a movement that delivers a message of “Strength and Determination” despite all odds. Tracy Broughton was born in Atlanta, Georgia, but grew up in Orange County, California. She was born a fighter, three months pre-mature. Doctors said that she was not going to make it, but she had other plans. She survived. Then a few years later, Tracy was kidnapped at 3 years old. Her father’s car was stolen with Tracy in the back. Fortunately, she was found when the thief abandoned the car. In elementary school, her mother, Brenda, was diagnosed with stage four cancer and given six to eight months to live. In spite of the diagnosis, Brenda assured Tracy that she would see her graduate high school. Tracy dealt with her mother’s illness and many challenges, including abuse in the household, throughout junior high school. She moved eight times, in and out of the state, within several years. Tracy even moved out at 14 years old and lived on her own for a period of time, with the help of her parents, because of the uncertainty in the home environment. Tracy helped take care of her mother and three siblings, as well as worked while she was going to school. She attended Irvine High School where she discovered her joy for painting, was a Senior Class Vice President, and was a Scholar Athlete. She lettered in soccer, dance, speech and track-and-field, played tennis and volleyball, and was even a cheerleader. She was honored with the Most Valuable Player award in soccer and selected to the ALL-CIF team. Then unfortunately in October of 1991, she was in a serious auto accident where the car flipped off a mountainside. She sustained severe injuries and was airlifted to ICU. The doctors told her mother that she would not be able to play sports and would be lucky if she was even able to stand. Not only did Tracy stand, she went on to again play sports and won the City Championship in track-and-field, was featured as the Irvine World News Athlete of the Week and the Orange County Register Sports Cover Athlete. She even holds some of the school records in track-and-field to this day! After fully recovering from a 1991 car accident in high school, and then coping with the subsequent passing of her mother only two months after graduating, Tracy continued to persevere and went on to pursue a professional modeling career. She was signed with two of the top agencies, Bobby Ball (BBA) and Elite-Stewart Talent. She modeled in print and runway, appeared on television, and danced for Disney. 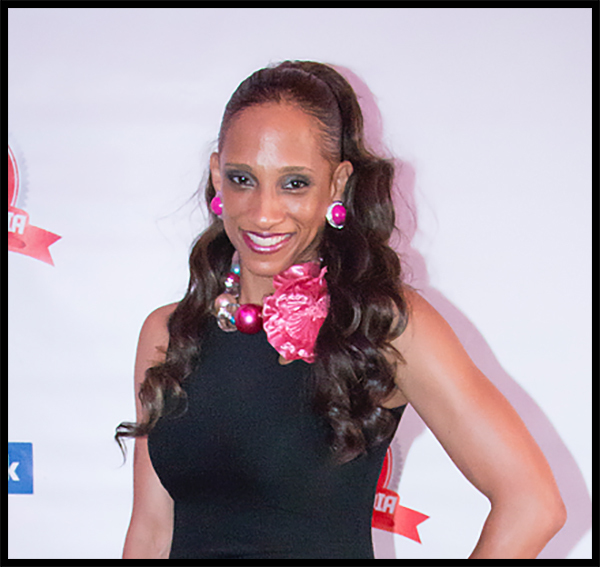 She has graced the covers of Black Passion Hair Magazine, Stylist Magazine, and was featured in the NFL Catalog. She test-modeled for many well known photographers who used her photos later in her career. Tracy was casted in music videos for Jeffrey Osborne, Tina Moore, Black Street and TuPac. In 1994, on a dare, she decided to compete in a fitness competition. Sponsored by Power House Gym and Met-Rx she trained for only a short period of time, and was appointed Fitness LA, which enabled her to compete in the 5th Annual National Championship Fitness America Pageant, held in Long Beach CA, where she placed 7th in her group. In December of 1996, Tracy was involved in a second car accident where she sustained severe injuries that left her hemiplegic, paralyzed on the left side of her body. Again the fear of never walking again. Through therapy she worked on strengthening her core and the right side of her body. She went on to make public appearances, win contests and eventually resumed her entertainment career from her wheelchair. This began with her contacting photographers whom she worked with in the past who believed in her modeling ability even with her disability. They helped her book jobs, which included the Cover of the Shades of Color Swimsuit Calendar, with photos that they had taken before her second accident. With these tear sheets she continued to book many other modeling jobs, and began the next stage of her modeling career. A pioneer who has paved the way for the disabled, Tracy Broughton next signed with The Shot Model Management which specialized in representing models with disabilities. The mission of the agency: “Among America’s 50 million disabled, are a number who meet the exact standards of professional modeling. It is our continued mission to represent the most exceptional of them.” Even though she was paralyzed on the left side of her body, she competed for Swimsuit Illustrated, where she finished 4th runner-up. From her wheelchair she went on to book print, runway and television jobs. She was featured in Nordstrom Catalog, Wells Fargo Bank marketing materials, Clear Channel Billboard, swimsuit calendars, a Toys R US commercial and on several TV shows, such as Buffy the Vampire Slayer, American Journal, and Extra. Tracy became pregnant and then her career was interrupted when she was sexually assaulted while in her wheelchair. She endured the trauma and became a loving single mother of identical twin sons. When the boys were 5 weeks old Tracy became homeless and had no help from their father. He has still to this day never met his sons. With the help of her friends, Tracy picked up her life and continued to pursue her dreams. 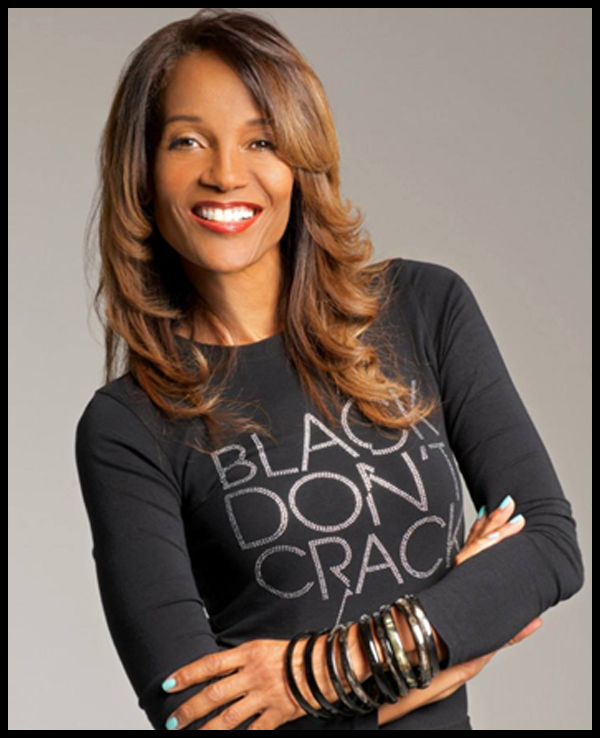 She was crowned Ms. Black California USA 2003, and she was featured on COX Communications and NBC Life Moments. Additionally, she was honored with the Goodwill Industries Walter Knott Service Award for advancing public awareness and opportunities for people with disabilities. An entrepreneur of two of her own businesses, a florist shop in Santa Monica, CA and then a legal insurance business, which she still runs today, Tracy has achieved success in the business world as well. This is evidenced by being a corporate trainer, a sought-after public speaker, Top Recruiter and Top Producer. While she is proud of all these accomplishments, it is the time freedom afforded her by the business that she still most values…the time freedom to heal…the time freedom to raise her children and do the things that she loves. With this time freedom, Tracy recently, in spite of her disability, reinvented herself and competed and won the title of Ms. America 2011! Beyond family and business, Tracy also finds the time to be a servant leader. She volunteers with many nonprofit organizations including, The HerShe Group that supports foster children, Habitat for Humanity, Goodwill Industries, and Phenomenal Women. She supports her community by volunteering with food drives, walks, soup kitchens, shelters, and church outreach programs that help people in need both in and out of the country. Many were impressed that she quickly and fully recovered from her first car accident in 1991, but it was her recuperation from her second car accident in 1996 that has made her a symbol of persistence and courage. 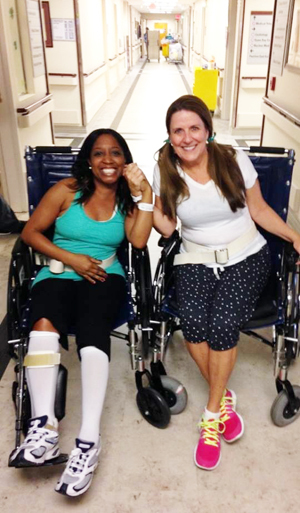 After her accident over 14 years ago, 11 of those years in a wheelchair…Tracy is now walking, with the help of a crutch! 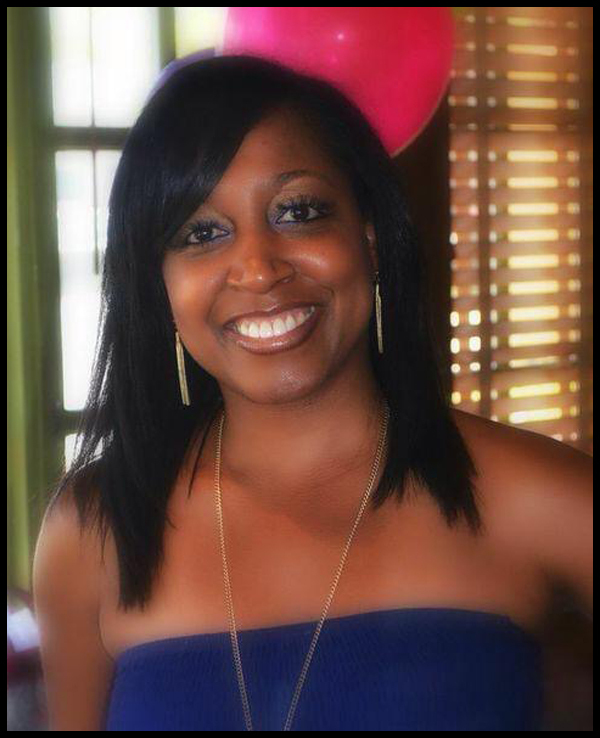 A vibrant and spirited young woman, Tiffany Tucker believes in living a life of purpose. As founder/facilitator of Heart to Heart Program, a personal development program for teenage girls, Tiffany’s mission is to build young ladies of values, virtue, and integrity. As a Certified Life Coach who communicates with authentic transparency, she states “My greatest desire is to be a voice that inspires others towards inner wholeness. I’m a firm believer that, in order to maintain any outward success, one must first be made successful on the inside.” Ministry has been an integral part of Tiffany’s life. Some of her experiences have included: leading women’s Bible studies/small groups, community outreach and mentorship programs, as well as speaking at youth conferences. She considers herself to be one of the wealthiest people she knows in the area of God-ordained relationships that have touched, impacted and blessed her life. After multiple visits to the emergency room, urgent care, neurologists, doctors and MRI scans – the only thing that looked “out of the norm” was a bulging disk in her neck. Tiffany’s symptoms, however, didn’t align with symptoms the bulging disk would cause. So there she was – in extreme physical pain, only able to sleep a couple hours at a time and confused – with no solid answers that could be given. It made even doctors and specialists scratch their heads. Neck surgery was suggested but she didn’t have peace about proceeding with surgery. Instead, she opted for frequent physical therapy. Even in the midst of physical therapy, her symptoms continued to worsen. Days turned to weeks and weeks to months. All she could do was stand in faith and prayer, stay connected with her doctors and do all due diligence to seeks answers. Then, on February 25, 2014, while in the emergency room yet again, the right side of her body from the torso to her feet went completely dead. No movement, no feeling – nothing. She was paralyzed. Emergency neck surgery was scheduled, but at the 11th hour, the neurosurgeon ordered another MRI. Little did the surgeon know that he was operating in spontaneous and divine wisdom. This MRI revealed that the bulging disk was not the issue, so neck surgery was not needed! Instead, Tiffany’s entire spinal cord was inflamed and swollen from top to bottom – a condition called transverse myelitis. Communication from the brain to the sensory and motor nerves had completely shut down and various parts of her body were ceasing to function. 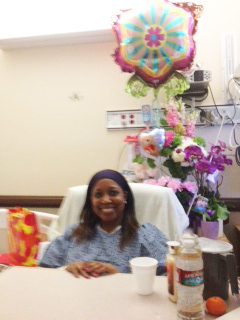 Tiffany was in the hospital for a month, enduring extensive medical treatments and acute physical rehabilitation. And this was only the beginning of the journey. For well over a year, she had to learn everything again – movement, control, coordination, walking, strength, balance. Each and every day has required supernatural grace and faith. After extensive testing, she was diagnosed with a neurological disorder doctors stated is incurable. “I had every reason to be discouraged, downcast and defeated. But I made a decision to choose joy. There was no middle ground. And choosing joy doesn’t mean there were no tears and no moments of sadness. My knees buckled under the pressure and stress of the daunting physical work and pain I had to endure. I wondered why this was happening to me. One of the greatest comforts was knowing that God could handle my questions, tears, confusion and shock and yet still give me the strength to smile, laugh, and have joy in the process.” She has taken the journey one step at a time, celebrating each victory – because each victory defies the odds that were stacked against her. She is determined to live each day with gratitude for how far she’s come. From a paraplegic prognosis, to a wheelchair, walker, cane and now over a year later, walking without any assistance, Tiffany is indeed a “walking” miracle and inspiration to all who have faced what appeared to be insurmountable challenges and overcome. Her healing and progress continues and she looks forward to the full manifestation of wholeness to her body. Dr. Lorelle Strong-Rich is a PHENOMENAL WOMAN! It is not a coincidence that her name if Strong and Rich. She truly brings strength and wealth into the lives of all that is fortunate enough to be in her presence. She leads by example and has a heart for women. Her passion and commitment shows during her daily fitness empowerment classes in the Houston, Texas community. She is a member of Delta Sigma Theta Inc. and Wealthy Sister Network in which she is the Vice President for the City Centre Chapter. She is also the co-founder of Power In Heels, a global ministry created to empower women to maximize their full potential in their Fitness, Destiny & Real Estate Wealth. As an innovative leader, Dr. Rich founded LSR Enterprises, to bring Kingdom empowerment to individuals and cause them to tap into the potential that lies within them. Dr. Rich especially has a Kingdom passion to impact women’s lives. The Enterprise is comprised of LSR Kingdom Training Institute, which has weekly prophetic & deliverance teleconferences & class training to equip individuals and leaders to move forward in the Kingdom. Dr. Rich also has developed a LSR Women in Business Institute, which serves as a tool to bring greater steps of definition and guidance to those who are in need of new Kingdom strategy in the marketplace. The doors of LSR Enterprises have given Dr. Rich the ability to be a guest on TBN, as well as, a motivational guest speaker at Caterpillar Industry (a Fortune 500 company). Dr. Rich is the author of “A Maximized Woman: Armed and Dangerous”, “Key’s to Becoming God’s Phenomenal Woman”, “First Lady, Only Lady”, “Single, Saved and Living with a Standard”, “Destiny is Calling You Enhancement Workbook”, “God’s Love the Real Love”, “Tapping into Supernatural Wealth”, “From the Bedroom to the Throneroom” and “Triple Threat Praise Workout” DVD. Dr. Rich has a heart for youth. This has birthed forth the LSR Etiquette Center which instructs youth and adults in etiquette and social skills to enhance their lives as they pursue their future. In addition, Dr. Rich is a fashion and etiquette consultant to women to assist them in maximizing their Destiny. Dr. Lorelle and her husband, Apostle Michael Rich, currently serve as the Senior Pastors and founders of New Life Destiny International in Houston, Texas. In addition, they oversee five churches in Ghana, Africa. They have two children, a daughter named Majesty, and a son, named Michael, Jr. Best known as a respected prophet, pastor, teacher, author, life coach, & Certified Zumba Instructor and a voice to push the Kingdom forward, Dr. Lorelle Rich received her B.A. degree in Television Production Howard University, a Master’s of Divinity at Vanderbilt Divinity School and her Doctorate from Word Bible College in Jacksonville, Fla. Dr. Rich is a pioneer for women becoming the first woman to be ordained at the historical Mt. Zion Baptist Church in Nashville, Tenn., under the leadership of Bishop Joseph W. Walker, III. Dr. Rich is known for her fiery, tenacious delivery that brings forth supernatural breakthroughs in the atmosphere.